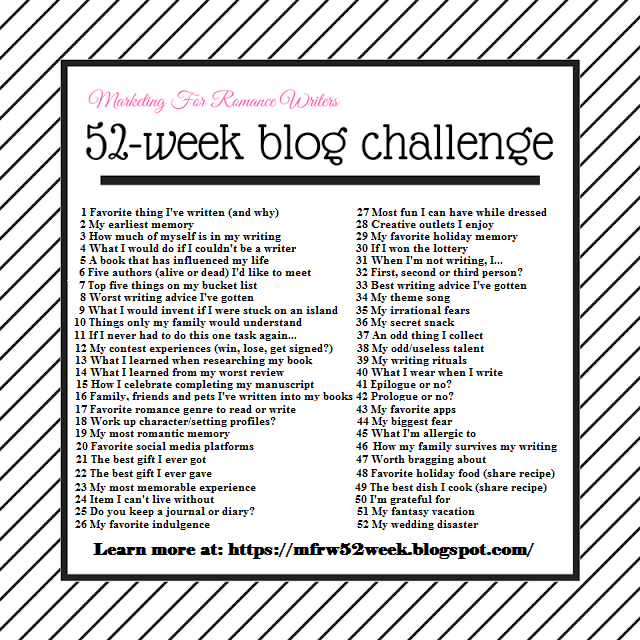 This week’s writing prompt is, How I celebrate completing my manuscript. My drink of choice lately is Bailey’s Irish Cream, which is so damn delicious, I don’t know how I lived for 35 years without it. But I also love a good cocktail. I’ve always loved margaritas, but I’ll try anything new and yummy sounding. I also love a strong Bloody Mary, but a good one can be hard to find. I’d like to get into making more cocktails at home, but keeping all the ingredients in stock can be rather a pain. What about you? How do you celebrate completing a manuscript? Let me know in the comments.